David and Amber got me the Fitbit I wanted for Christmas. 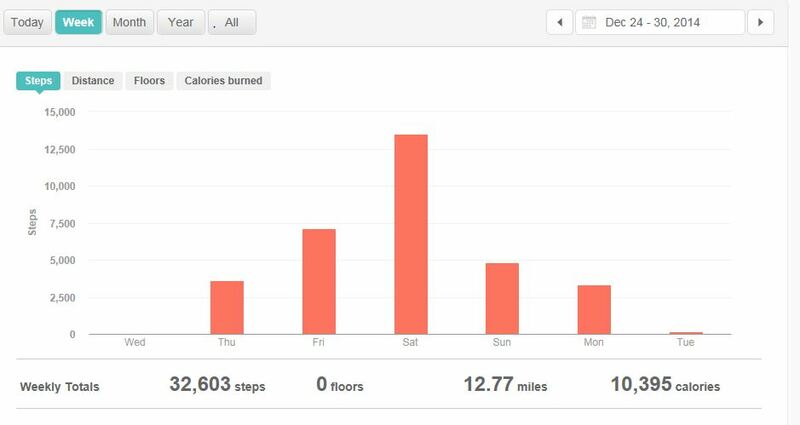 So far, I’ve learned so far is that it’s really hard to get in 10,000 steps a day. I’ve only made it once, but it has been busy with holiday stuff and feeling a little under the weather yesterday. I don’t even want to think about all the cookies and candy I’ve eaten either. The new year starts Thursday, which is as good a time as any to get back on track. If I can make it to the gym/run outside three times a week, I’ll be happy. 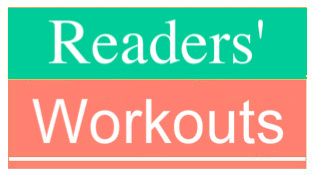 Thanks to Joy at Joy’s Book Blog for hosting Readers’ Workouts. I didn’t like my Fitbit Force. It was tracking every move I made, even just lifting my arm a bit. I’m thinking about getting a Moov because you can put it on your shoe if you’re walking, or on your arm if your playing tennis etc. Good luck meeting your goals for 2-15! So far it’s working pretty well for me, but I have learned I need to take it off when I’m playing the organ or piano. My FitBit One is working well for me. I’m surprised what it takes to get to 10,000 steps, too. For me a 40-minute walk, by itself, won’t do it! I only get there if I also do some other big project — shopping or cleaning house or something like that. I walk to slow for 40 minutes to do it. I need to take like a 3 mile walk and then do other around the house stuff. I sent Amber a link to the exact one I wanted so she could make sure David got the right one. I love having a capable daughter. Now I have to figure out how to add people it doesn’t automatically pick. hm. I think you need an email address.